With four fitness bands of my own, one would think I am tired of them, and trying out new ones. Alas, this is not so. Much like I’m hooked on exercise, I’m also hooked on devices that can motivate to get more active, and give information and feedback on what I’m doing (or not doing). 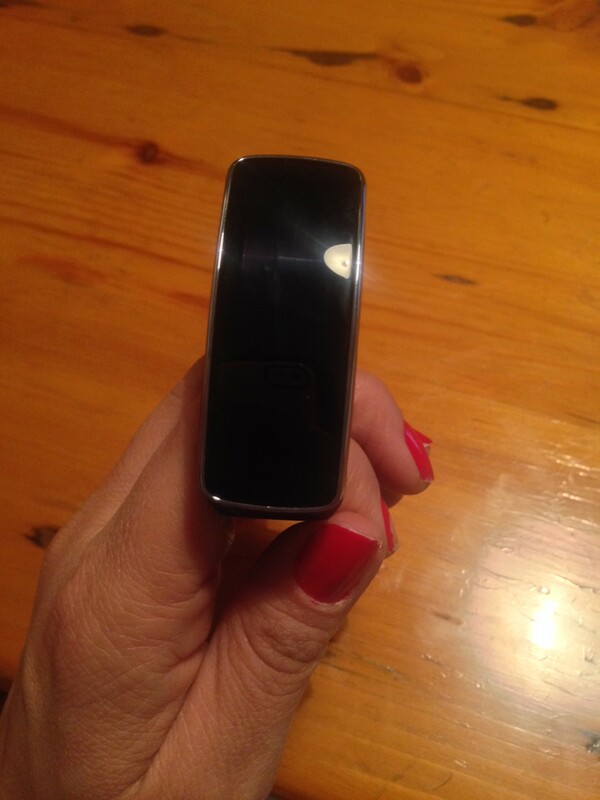 The latest device I got to try out was the Samsung Gear Fit, which launched in South Africa two months ago, alongside the Samsung S5. I was really excited by its stylishness, touch screen and customisation options – you can choose font size, wallpaper and even colour strap (there are six to choose from). – Act as a smartwatch. When connected to a Samsung smartphone or tablet, it can get notifications for messages and calls. You can read a message or reject a call, but you cannot take a call from it, or message from it. – Act as a fitness tracker – it tracks steps, exercise (walking, running, cycling and hiking) and heart rate. I feel the Gear Fit is a bit clumsy, and does a bit of everything, without doing a lot of what I want it to do – chart my exercise, encourage me, give me goals and give me stats in a user-friendly way. 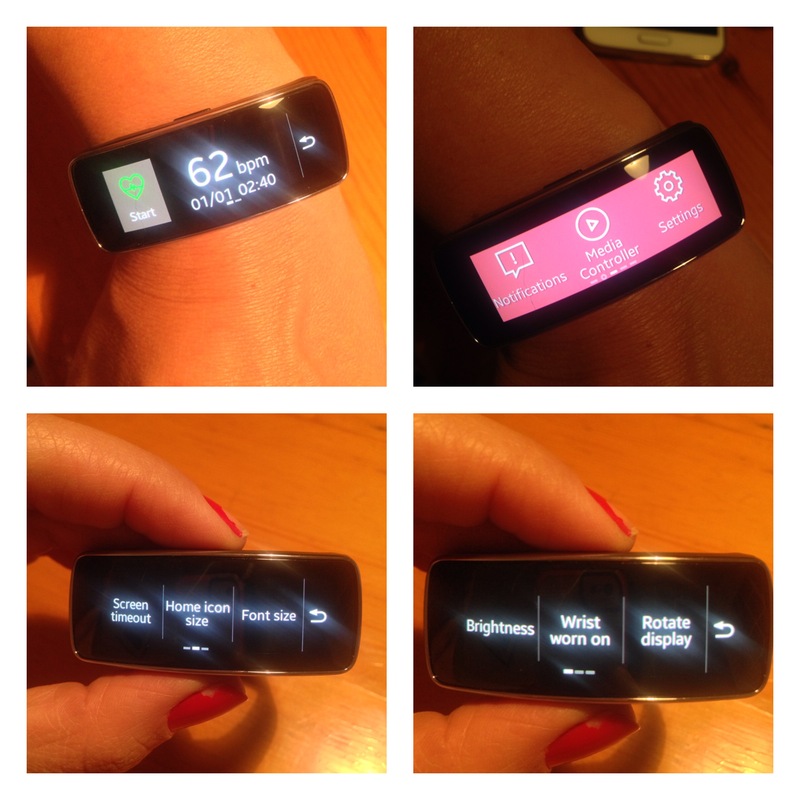 I was overwhelmed with all the settings and functions, and underwhelmed with how it worked as a fitness helper. And while I like how well it works with Samsung devices, you’re locked in – you cannot use it with other Android devices, or even sync to iOS apps. If looks are everything, and you’re a Samsung devotee, then you’ll probably love it. 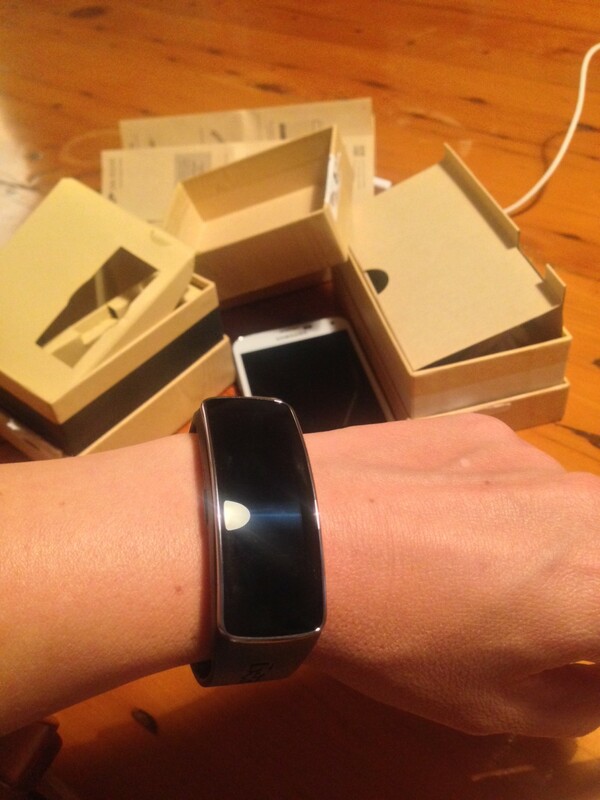 I imagine first-time fitness tracker users will like it too, but for me, less is more.